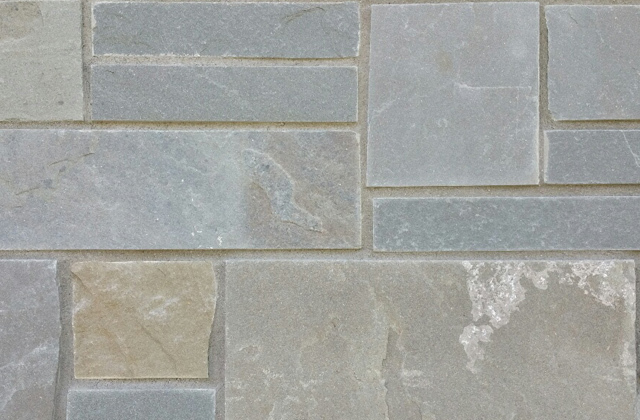 Pennsylvania Ashlar is a layered sandstone found in the northern tier of Pennsylvania and the Southern Tier of New York. Primarily used for mortar set, house veneers, fireplaces, borders and retaining walls. 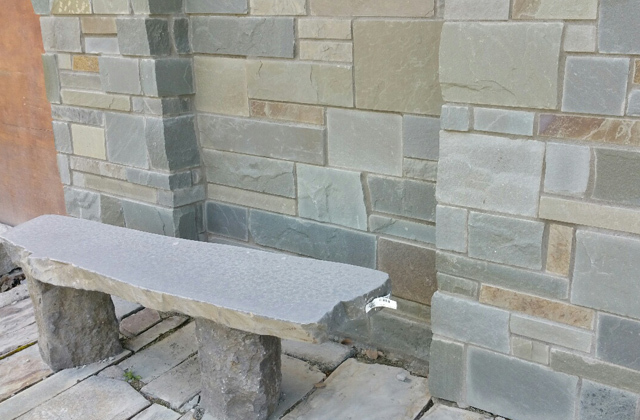 4″ bed depth and varied face heights and lengths and can be set vertically with mortar. Colors will have blues and some grey tones with some browns throughout.